This is an acrylic painting on a hard board panel. The painting measures 12″x 9″. 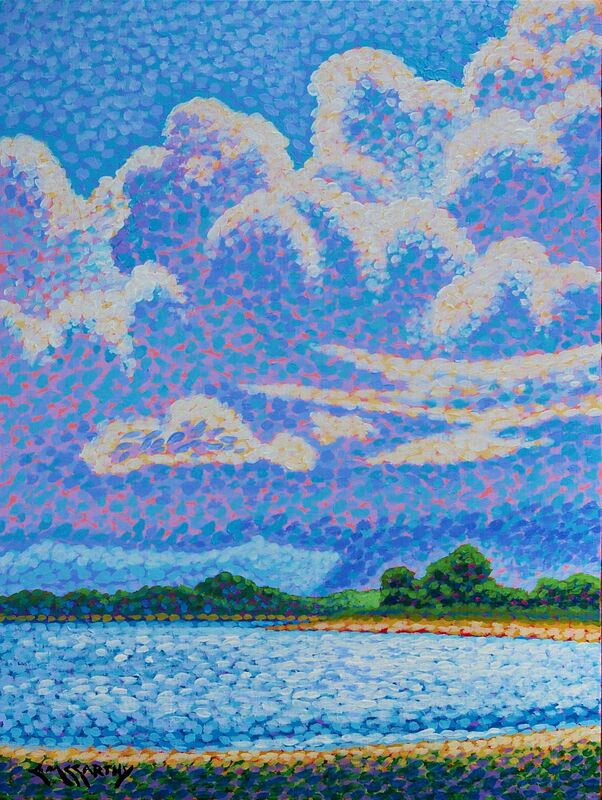 This pointillist painting depicts a summer thunderstorm building over the interior of the Florida mainland. The view is from the east coast, just south of St. Augustine, near Washington Oaks State Park. Inspired by my time in Florida. This pointillistic painting is being sold unframed.